Are you tired of trash? Then join the Trash Mob! We meet at 10am on the third Wednesday of each month at rotating locations around New Hanover County. 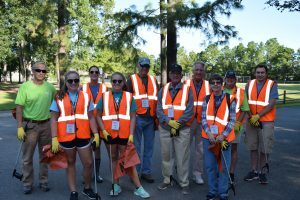 Volunteers must be at least 16 years of age and can volunteer as an individual or group. Contact Jodi Rich by email or (910) 798-7629 for details and location.